All items we publish are good ones. Please choose any item as you like. 1. 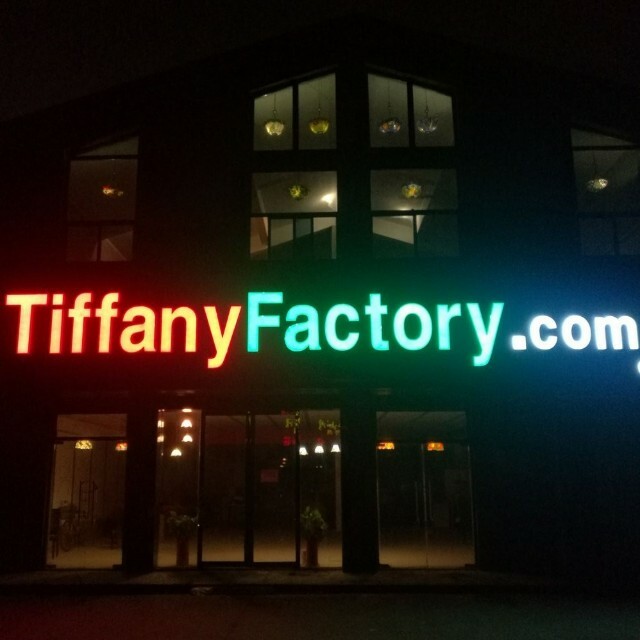 Select items and quantities on our site https://tiffanyfactory-com.en.alibaba.com/productlist.html (this site) on Alibaba and place the order. But do not pay before next steps. 2. We will receive email and get back to you by email or online. 3. After everything about order is agreed between us, you pay by T/T per Proforma Invoice or pay online. 4. 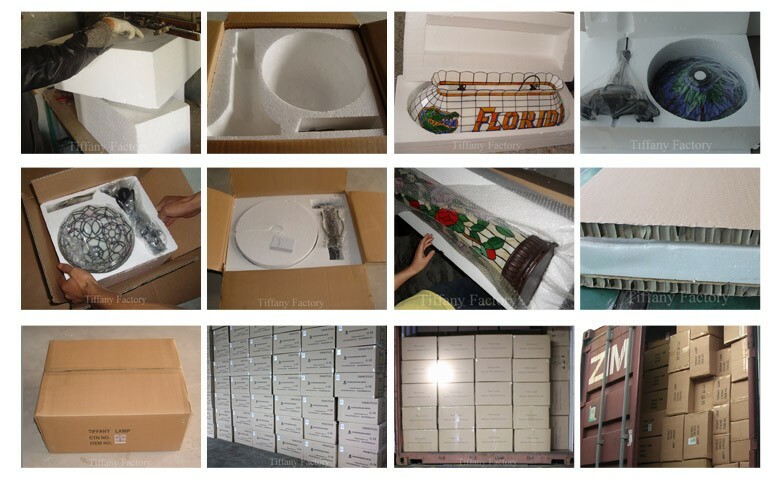 After receiving payment, we will prepare products and ship to you. Lamps shades: handcrafted using the same techniques that were developed by Louis Comfort Tiffany in the early 1900s, containing hand-cut pieces of stained glass, each wrapped in fine copper foil and soldered together with tin, all by hands. Lamp bases are made of metal ONLY, we do not use resin for any lamp base except any shape has to be made of resin. Base finish: we use electroplating (antique bronze finish color or antique dark coffee color if required) but not painting for zinc or aluminum bases, which is scratchproof and much better (other factories uses painting since it is cheaper but painted lamp bases will change after several years). Our products are certified by UL/CUL/CE/VDE/RoHs/SAA/T-MARK/CCC etc. To see more certificates, please check Certificates. Safe polyfoam and A=A five layers standard waterproof brown or white carton for each single lamp or panel. We provide best quality and competitive prices. Any products/orders from us can be returned without any reason in 1 year and quality guaranteed for 10 years. OEM & ODM are both available. Any customized stained glass products could be designed and manufactured by us. Exclusive protection for your market sole selling rights, customer designs or any private information. 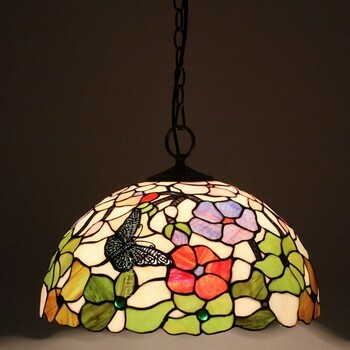 TiffanyFactory.com Limited has been producing and supplying stained glass tiffany lamps, windows and crafts for over 13 years. 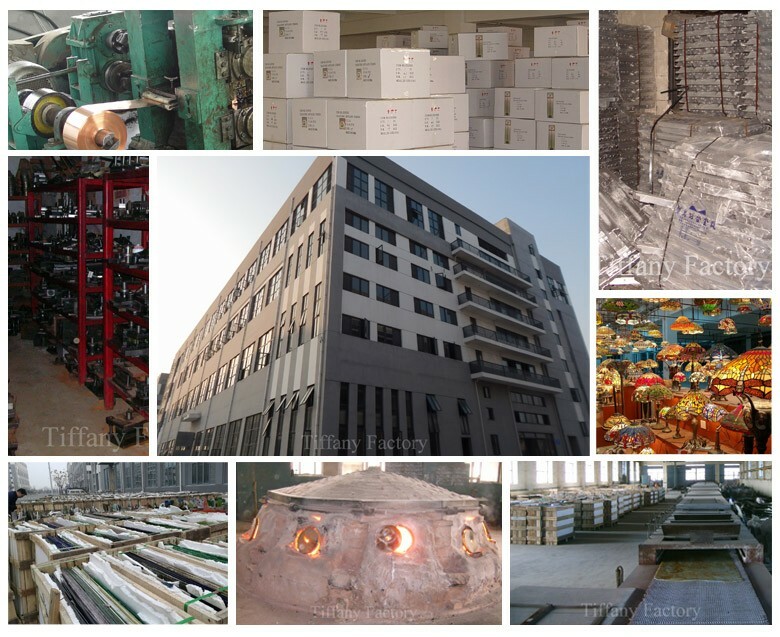 We have been exported to all developed countries and areas and our exporting volume, our factory and our showroom are all the largest in China Mainland. We welcome your visit to choose 3,000+ tiffany lamps and 1,000+ stained glass panels in our showroom. Q: Are you a factory or a trader? A: We are a factory of 12,000 square meters! Lead Time: 10 days for any item of less than 1,000 pieces, 25 days for a 20 feet container and 35 days for a bigger container. Payment: 30% deposit and 70% balances after seeing scanned B/L by T/T or L/C at sight.